Roy Eastlake, technical support manager at Biotal, believes cutting only what can be picked up the same day will bring big benefits, whether you follow a typical cutting programme or have converted to a system of more frequent cutting. He explains grass starts to dry out once it is cut, which is a good thing as wilting helps concentrate sugars, reduce the risk of pH buffering and improve eventual DM intakes. However, the length of wilt needs to be carefully managed. On a typical sunny and breezy day, grass will lose moisture at a rate of at least 1 per cent per hour, but this can be as high as 2 per cent per hour in favourable drying conditions. While it does not dehydrate as quickly at night, the moisture content does not rise again. “Ideally you want grass to be ensiled at about 32 per cent DM, which is the optimum for fermentation efficiency and subsequent dry matter intakes,” he says. 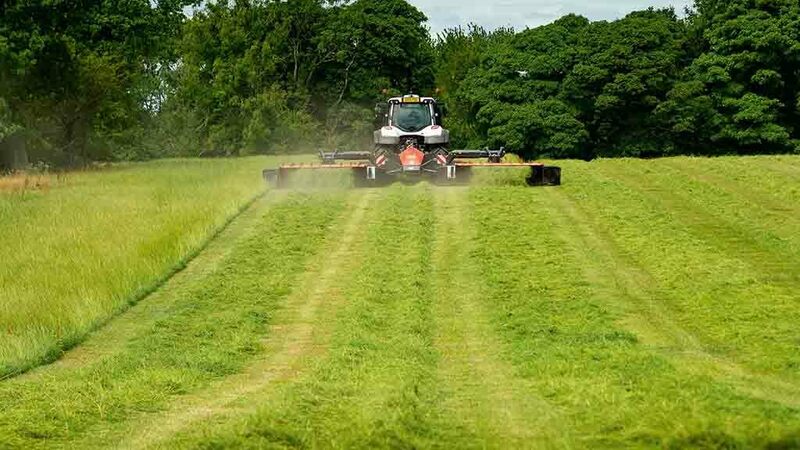 He adds moving to ‘silage in a day’ reduces risk and increases consistency of forage produced and by managing the crop in the field, it results in better feed quality. He advises cutting in the morning once the dew has lifted and picking up in the afternoon.